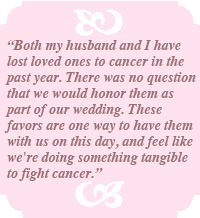 On your special day, honor a loved one or simply show your commitment to ending cancer by choosing a charitable donation in lieu of (or along with) traditional wedding favors. A donation to AICR means you are helping to fund critical, cutting-edge research and practical tools and information that help people prevent and survive cancer. 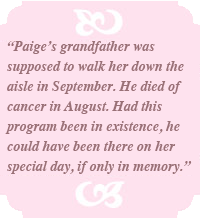 A portion of your donation is tax-deductible, and your gift will help in the fight against cancer and its effects on those we love. Donating is easy: Place your order, personalize, review cart and confirm. Click the Order Now button to purchase these items. 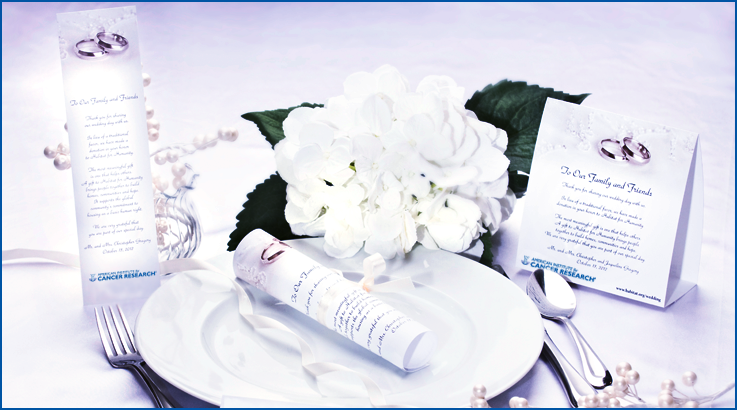 On your special day, whether you are honoring a loved one affected by cancer or making a gift on behalf of your guests; choosing customized wedding favors through the American Institute for Cancer Research will create a lasting and meaningful memory for you and your guests. Copyright � 2015 Connects Marketing, Inc. All Rights Reserved.